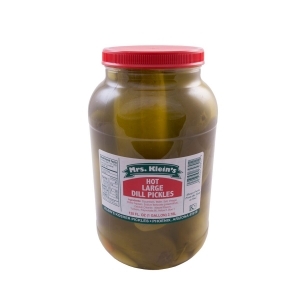 Large Hot Dill Pickles now available by the gallon. SHIPS PRIORITY MAIL via USPS for fast delivery! Roughly 13 pickles per jar.